far better than the last "jpg" image. 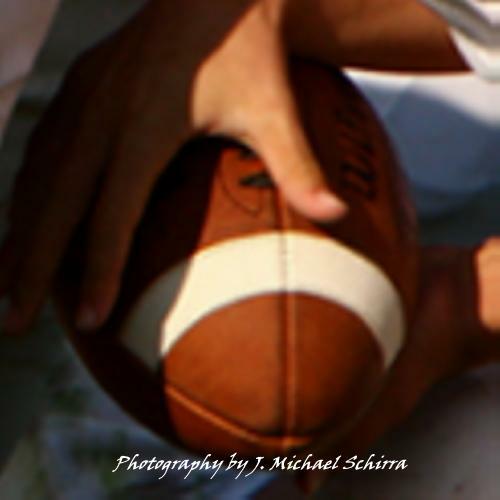 Compare the stitching on the football on the 2 images and you will easily see the difference. The originals are much higher quality and far better! This is the original image downsized to fit here. the next photos to compare a "bmp" to a "jpg". This is a 500x500 dpi cropped portion of the "bmp"
original image and shrunk to 250x250 dpi in "gif". 500x500 dpi "bmp" of this image. This is a 123x123 dpi cropped portion of the "jpg"
web image and shown as 250x250 dpi in "gif". 500x500 dpi "jpg" version of this image.